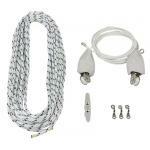 Lazy Jacks are designed to control the mainsail when reefing or dousing. They easily tame today's Full Batten Mainsails and work well with more conventional sails. Schaefer's Lazy Jacks ”funnel” the sail down to the boom and retain it, keeping you safe in the cockpit to properly secure the sail when you are moored. Schaefer's design allows for the use of an existing sailcover without the need for extensive modifications. The use of thimbled eye straps attached to the bottom of your boom keep the hardware away from the cover and enable you to tuck your sailcover under the lazy jack control lines. 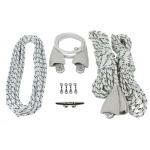 Lazy Jack kit for boats 24'-29'. Features Leather Covered Hardware to minimize chafe, unique under t..
Lazy Jack kit for boats 30'-36'. 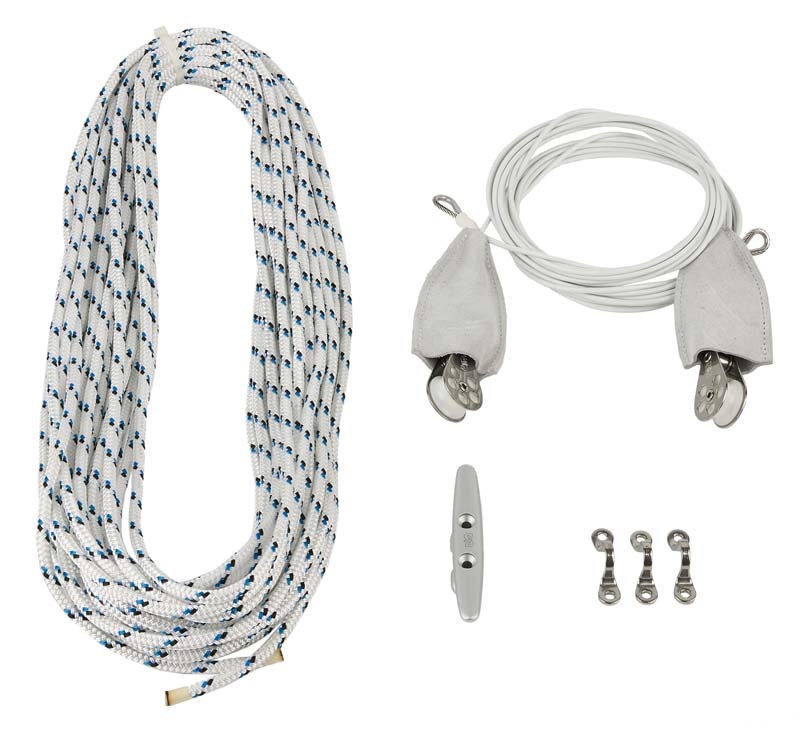 Features Leather Covered Hardware to minimize chafe, unique under t..
Lazy Jack kit for boats 37'-48'. Features Leather Covered Hardware to minimize chafe, unique under t..